MONTREAL, QC – McAuslan Brewing has announced the release of this year’s edition of a popular winter seasonal brand. When you raise a glass of St-Ambroise Scotch Ale, you’re celebrating four centuries of Scottish heritage in Canada. Behind its deep ruby colour and amber head is a strong beer with a robust 7.5% alcohol. Your taste buds will thrill to its smooth, malty taste with hints of vanilla and caramel, rounded out by a long, hoppy finish. Slàinte Mhòr! 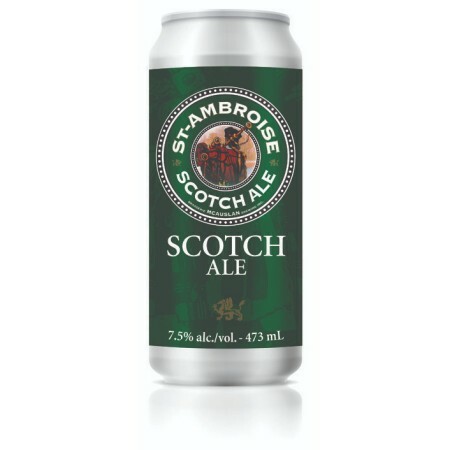 St-Ambroise Scotch Ale is available now in 473 ml cans at beer retailers in Quebec while supplies last.